In May this year, a judge ordered 55-year-old Paul Kelly to repay £180,000 he had stolen from the Asda Foundation, or face an extra two years in prison. Kelly began a three-year prison sentence in March for stealing the money, intended to help those affected by the Somerset floods, but which he gave to his partner's dance school. Later in May, 29-year-old Kate Hetherington was given a suspended 20-month prison sentence after stealing more than £21,000 from Cancer Research UK. For most people, the idea of stealing from a charity is pretty shocking, but what makes these two crimes all the more striking is that both Kelly and Hetherington were volunteers for the charities from which they stole money. Kelly (right) was chair of the Asda Foundation and Hetherington (below left) was head of a local CRUK fundraising group. 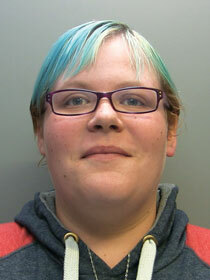 Hetherington also admitted taking about £600 from the till while volunteering in one of the charity's shops. These are just two examples of the many cases of large-scale charity fraud that have made the headlines this year. The latest Annual Fraud Indicator report, published in May, suggests there has been a large increase in charity fraud in recent years. It estimates that fraud cost the sector £1.86bn in 2013/14, representing 25 per cent of the sector's £74bn income. Previous estimates have suggested fraud costs the sector about £147m a year. Mark Button, director of the Centre for Counter Fraud Studies at the University of Portsmouth, which published the report, says it is difficult to draw comparisons because the figures for previous years have not shown the full picture. "Previously, they used a survey of 1,200 directors of finance and asked them to estimate levels of fraud in their organisation, then expanded that across the entire sector," he says. This method has an obvious flaw, Button says, because finance directors can report only that fraud they know about. "Fraud is like an iceberg: the bit you see above the water is only the smallest part of what's actually out there," he says. "The bigger bit below, which is the undetected fraud, was overlooked." So for this year's indicator, the report's authors followed a model used by public bodies such as the NHS and the Department for Work and Pensions. These use fraud-loss measurement exercises that take a random selection of organisations, then extrapolate from that data to give a total for the overall sector. To find the level of fraud in the charity sector, the team transferred the average figures from other sectors to the charity sector, adjusting it for the level of charity expenditure. Button says the latest figures are more accurate than previous estimates but should still be treated with caution because they could be over or underestimating the actual levels. Whatever the total cost of fraud, there is undoubtedly "a hell of a lot" going on, says David Kirk, chair of the Fraud Advisory Panel, a charity that provides anti-fraud advice and research. The past year has seen theft from many directions - fake charity collectors posing as legitimate charity collectors, entire charities set up to fraudulently claim Gift Aid, fake cheques used to deposit money in trustees' own accounts and, of course, insider fraud. The Charity Commission has also issued a number of alerts about cyber crime in the past few months, warning charities keep a lookout for online blackmail groups. Kirk says the apparent rise in cyber crime and the Charity Commission's desire to get to grips with fraud have brought the issue to far greater prominence. "There is a greater awareness - it has become a reportable issue," he says. "Charities now feel they have to 'fess up." In the past, he says, they have been reluctant to admit to being the victims of fraud, fearing it would deter donors. In April, the Charity Commission launched a series of web pages that offer charities advice, resources and support. The pages will be developed in the coming months by the Charity Sector Counter-Fraud Group, a coalition of sector bodies and law enforcement agencies. Alan Bryce, senior development manager and strategic counter-fraud lead at the Charity Commission, says there is limited information about how fraud is affecting the sector, but the commission is starting to conduct more in-depth research. Bryce has a fairly stark view of the situation. "There are only two types of organisation," he says. "Those that have been hit by fraud, and those that are going to be." Last year Jacqueline Balaam, the finance officer at Pembroke College, part of the University of Cambridge, was jailed for two and a half years after stealing £286,000 from the charity to fund a gambling addiction. Balaam was responsible for settling bills with suppliers and had worked at the charity for five years. In June 2012, she began duplicating some invoices, changing the supplier's bank details to her own when the second copy was processed, before immediately changing it back. "In general, changing the bank details of a supplier should be a very rare act," says the college bursar, Andrew Cates. "But she knew exactly who would see what, so she knew that nobody would spot that particular issue." Aside from the money, the theft had a human cost - staff were hurt by the breach of trust but also deeply saddened by Balaam's situation, and it took about a year to rebuild morale, Cates says. After the theft was discovered, the college invited external auditors in to see how its systems could be improved. "We also went round and explained to all the other colleges what we had learned - so there was sharing of learning," he says. One of the key lessons was to make sure they were aware of what their systems could do, because it turned out that the loophole Balaam had exploited was very easy to fix. "If you set your accounting system to issue monthly reports of any changes in bank account details, this kind of fraud becomes almost impossible," Cates says. "It was very simple and had been foreseen in the system we were using, but never activated. "It's extremely difficult to design a system that can avoid an attack by a trusted insider. The scale of financial operations in a small charity means not everything can be double-checked simply because you don't have the staff. There can be controls in place, but some trust has to be placed in individuals." The challenge is to know the unknowable, Cates says, and using your financial systems to their full capability can help you do that. 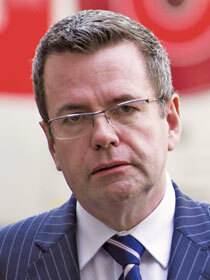 Charities need to face up the fact that they are as likely as any other organisation to be victims of fraud, he says. "In a lot of organisations, people feel more comfortable saying someone has made a mistake and has accidentally claimed £10,000 a year in expenses for the past 10 years - but that's just not credible," he says. 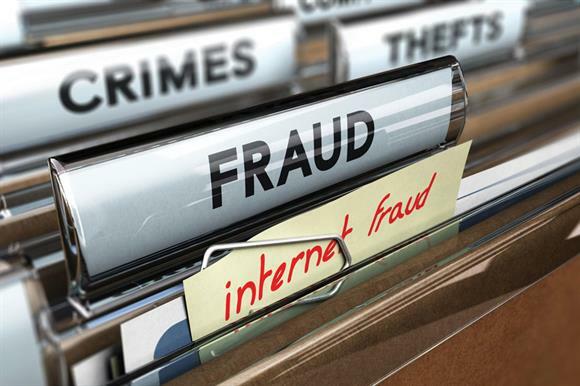 "In order to tackle fraud, we need to treat it as fraud." Kirk acknowledges there's a Catch 22 situation for charities at the moment: spending money on back-office systems and administration is frowned upon by the public and the media, but so is allowing charitable funds to be lost. He argues that charities should see anti-fraud systems as an investment. "If you get it right on the prevention side, there will be many benefits down the line in terms of your income and the good that you can do," he says. Charities might also feel they need to be cautious about deterring volunteers by appearing to be suspicious of them, he says. "You don't want to put people off by running rigorous checks, but you really should do it because they're going to be handling money," he says. "They'll be in a position to influence people to give money, and you have to be aware there's a real risk they will be diverting it into their own accounts." The Charity Commission's Bryce says it's crucial for charities to talk about what happened after they've been targeted as a warning to other charities, but it's equally important for other charities to listen. For example, despite widespread publicity, charities are falling victim to mandate fraud - this is when they are asked to change bank payment details, which are diverted to a fraudulent provider. "If your finance staff aren't aware these frauds are occurring, I have very limited sympathy for you because there are so many prevention messages out there," Bryce says. Charities need to be aware of the ways in which they could be targeted, both externally and internally, he says, and even smaller organisations need to ensure they put in place appropriate segregation of duties and proper information-checking systems. Expenses, Bryce says, are a good example. He says he has come across organisations where the person authorising expenses claims does not realise that part of their job is to double-check each claim is legitimate. "We have to have an element of professional scepticism," he says. "It's appropriate for people to challenge expenditure and transactions, so charities need to build a culture where that's completely accepted." And communication between staff and volunteers within the charity is vital, he adds. "The two main ways in which fraud is detected are whistleblowing and data analytics of activity," Bryce says. "So the core element of this is making sure your own staff are aware and feel confident in raising concerns." It is a pretty depressing picture but, as Kirk says, so long as people within the sector are aware of fraud it does not have to be a disaster. "You're going to have fraud - it's simply a fact of life," he says. "The task is to keep it within manageable limits."